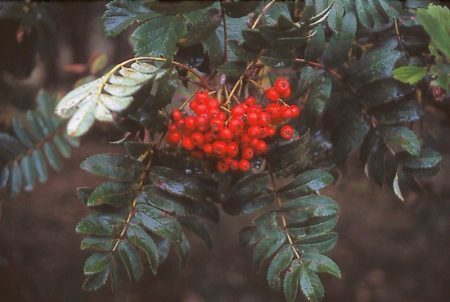 This Sorbus aucuparia Fastigiata is a narrow columnar Mountain Ash with smooth olive green bark and stout, closely erect stems bearing green foliage that is held throughout the season, until turning yellow/orange in autumn. The clusters of white flowers in spring are followed by red berries into winter. This is a tough and hardy tree and is tolerant of atmospheric pollution. It prefers cooler spots, thriving on most soil types and is an ideal vertical accent in the landscape.